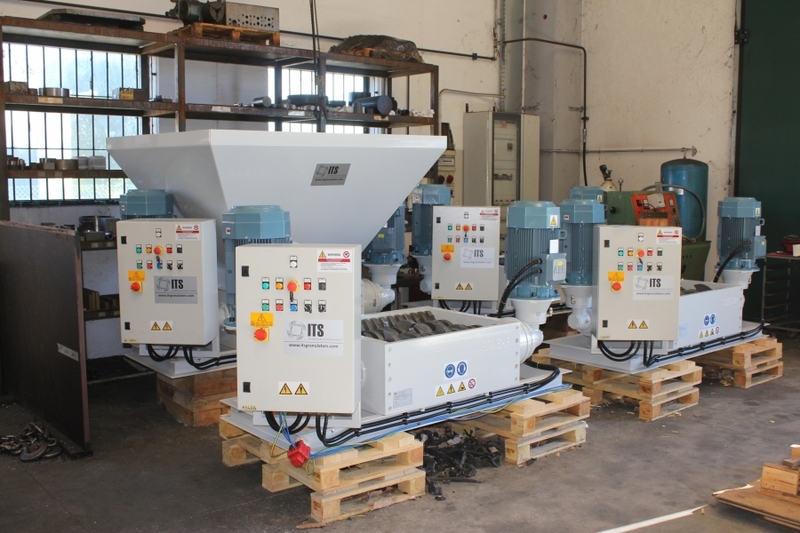 These two-shaft slow speed and high torque shredders are electrically driven models suitable for less demanding applications when a size or volume reduction is required. The specific customer requirements will determine the cutting chamber size, blade configuration and the appropriate electric drive. All models are designed to reverse shaft rotation in case of overloading. 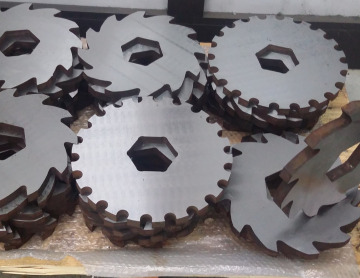 Blades fitted on the hexagonal shafts with different cutting profiles and specific blade thickness depending on the material to be processed.